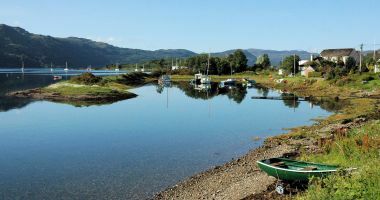 For those who also like activities of a more energetic or sporting nature, there are ample opportunities for sailing, canoeing, kayaking, mountain biking, hill walking and climbing. 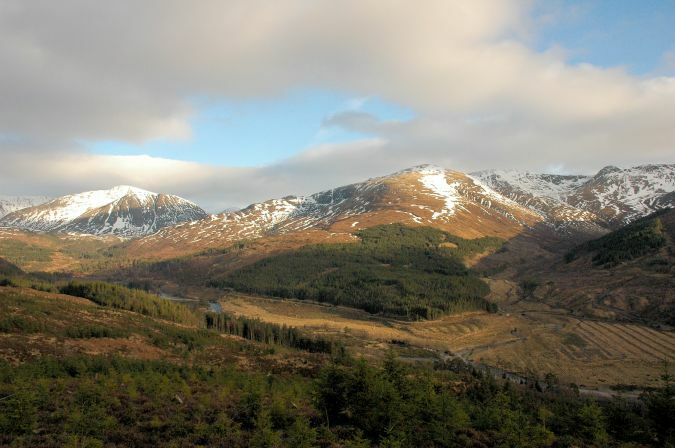 More information on walking and climbing can be found in our "Munros" section. 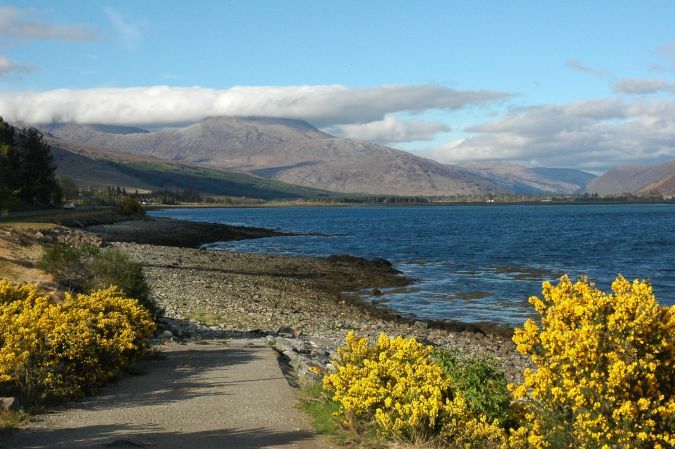 Lochcarron even has its own 9-hole golf course to which visitors are very welcome. 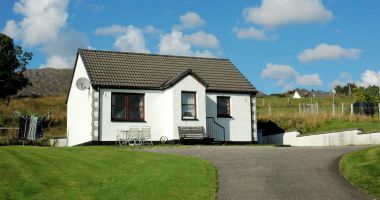 Clubs are available for hire and the club house has its own "Tee Rooms"! 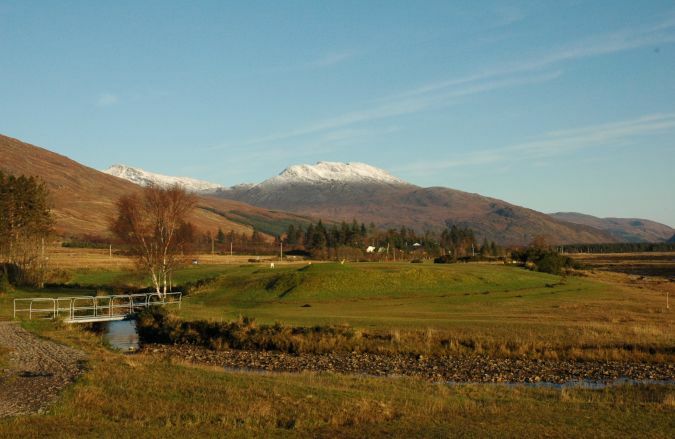 The photo below shows a view across the course with the distinctive shape of "Wellington" in the background and was taken on a superb winter's day just a week before Christmas. 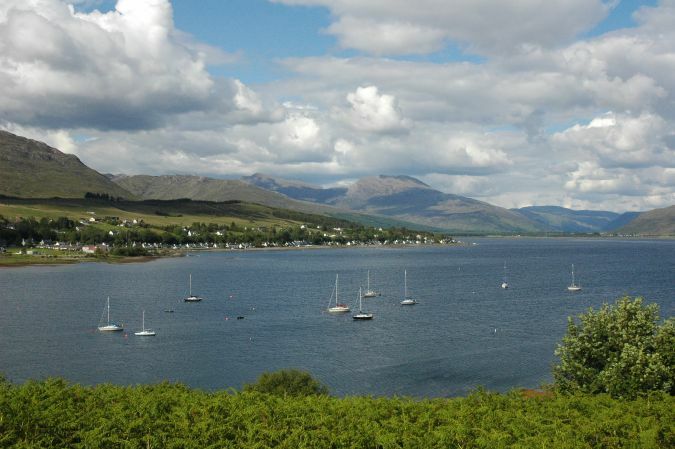 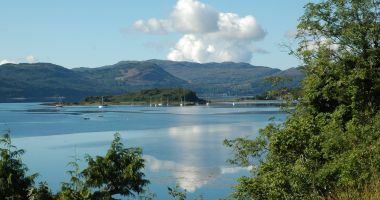 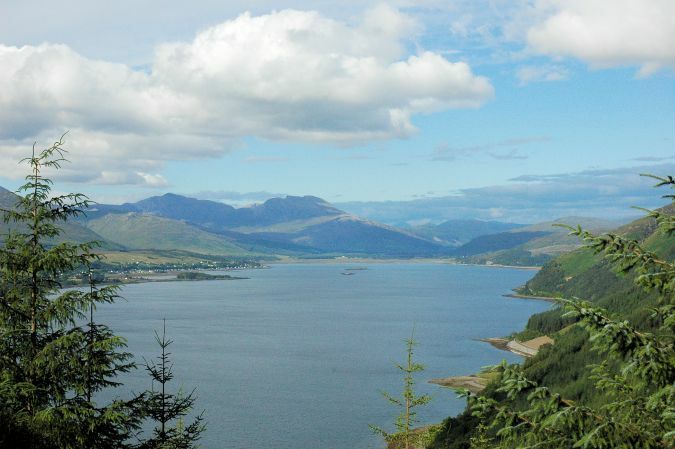 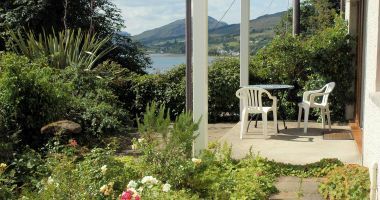 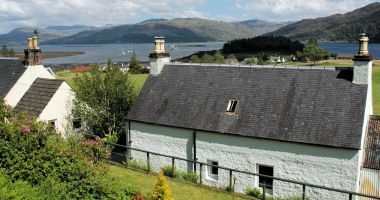 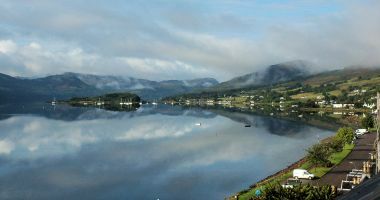 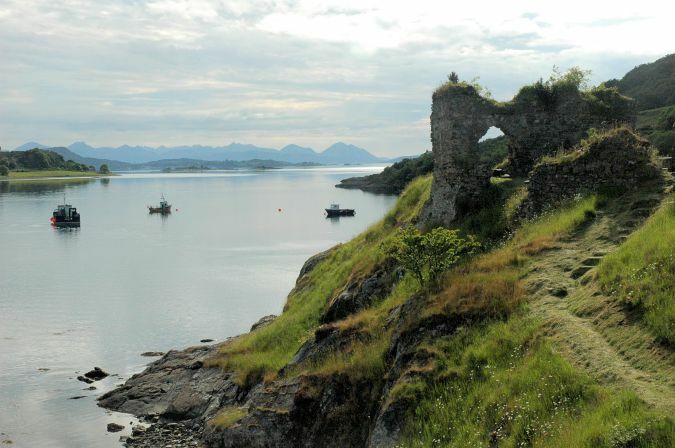 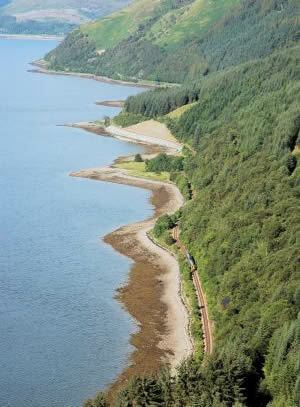 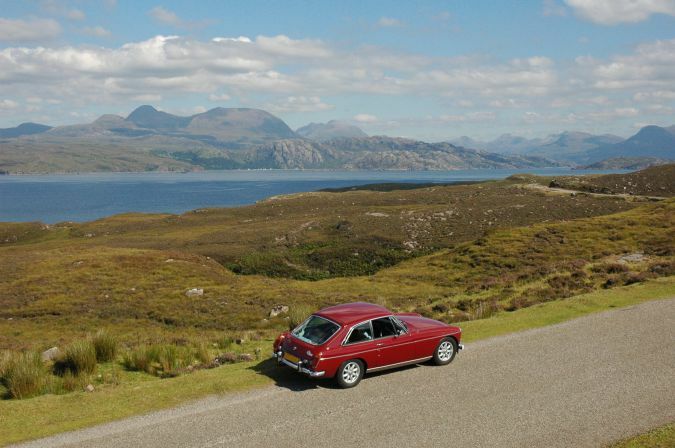 One of the things which is definitely not to be missed during any visit to Lochcarron is a trip on the Kyle of Lochalsh railway line which featured some few years ago as one of Michael Palin's "Great Railway Journeys of the World". 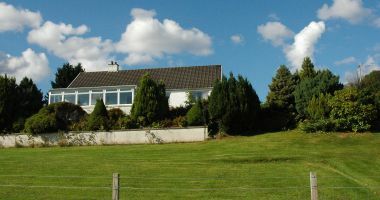 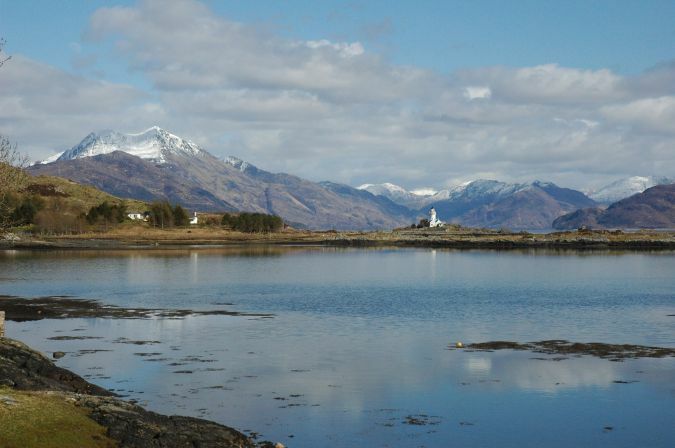 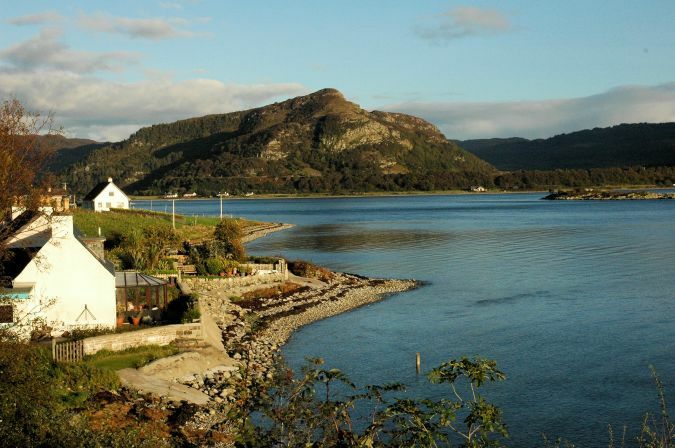 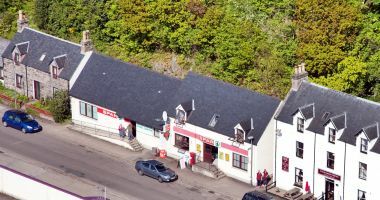 The nearest railway station is at Strathcarron, 3 miles from Lochcarron village. 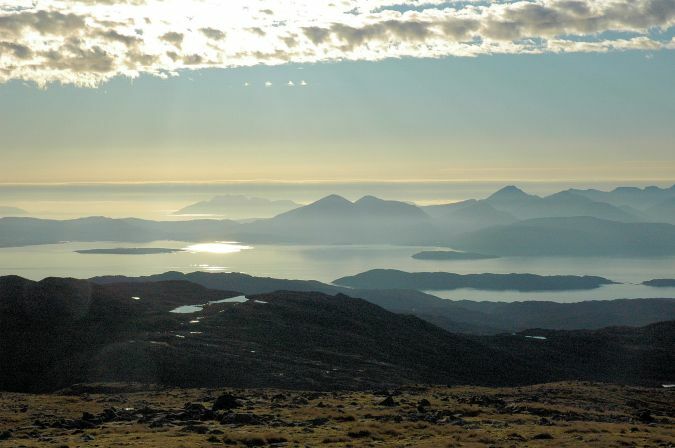 From there the line runs to Plockton, Duirinish and Kyle of Lochalsh, hugging the coast-line for much of the way as you can see in this photo. 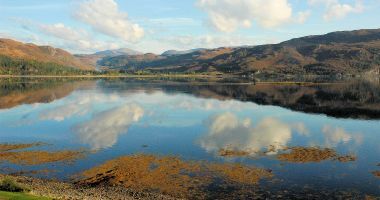 Useful Links - links to other local websites and sites providing travel information, etc. 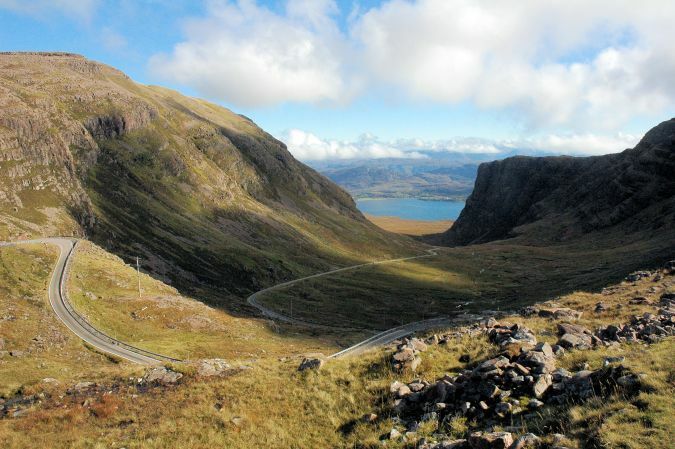 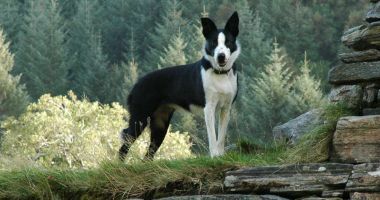 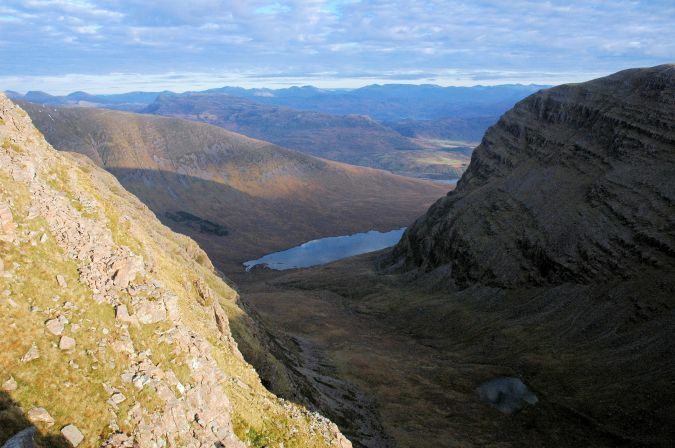 Walking and Climbing - places to walk, Munros to climb!